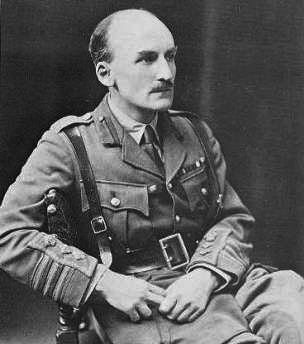 Fuller was a British officer during the Boer War, the First World War, and the 1920s, but he is one of the most controversial figures in the firmament of 20th century strategy. He was brilliant but arrogant, inquisitive but opinionated, and had rotten political instincts. Yet despite all of that, he was learned in the conduct of battle and sought to create a unified theory of war in this compilation of his lectures from the British Army’s Staff College at Camberly. Fuller never quite reaches the level of the great strategists like Sun Tzu, Clausewitz, Mahan, and Boyd, but the book serves as an excellent foil against which to pit other theories of war. The words “pithy” and “easy to read” do not always attach themselves to writing coming out of government institutions, but Jiyul Kim’s Cultural Dimensions of Strategy and Policy is the exception that proves the rule. Kim is an engaging writer and has a point to make: in international relations it is not just political and economic power that matter, but culture as well. To those untouched by the debates among the various schools of political thought, this makes incredible sense. But there are those, alas, who think that culture plays such a secondary or tertiary role in relations between states that it merits little consideration. In many cases, these scholars are the same ones who deride the ideas of Joseph Nye (“Soft Power“) and Secretary of State Hillary Clinton (“Smart Power“) as insufferably idealistic. As a longtime skeptic of all of the standing schools of foreign policy, I am as yet undecided. But Kim makes a persuasive point, and his paper is an important addition to the literature that argues for the importance of factors beyond guns and butter in international politics. In fact, I would argue that Kim’s points are more relevant to executives and students of business than it is to political economists. The issue of where national culture and corporate culture create or destroy opportunity as businesses venture abroad is not trivial, but it remains underrated and insufficiently discussed among those of us actually making decisions or advising those who do. Kim’s paper should helps spark your thinking. In Hard Power and Soft Power: The Utility of Military Force as an Instrument of Policy in the 21st Century, Professor Colin S. Gray has written what is perhaps one of the most thoughtful contrasts between the virtues of hard power (read “military force”) and soft power written since Joseph Nye fully outlined the concept of Soft Power nearly two decades ago. Gray is cynical not so much of Nye’s original proposition, but of the growing buzz around soft power as some form of alternative to armed force. Some of Gray’s major points resonate, and suggest that thinking about soft power in Washington and elsewhere is a little “soft.” Specifically, Gray notes that hard power and soft power are not substitutable for each other, and and that military force is not an anachronism. This is a superb work by a strategist of the first order, and it belongs as a companion volume to Nye’s writings or any discussion of strategic communications. I have a few quibbles, because I feel that Gray overstates at least two of his conclusions, and misses one point that would fit well in his analysis. First, he suggests that strategic competency is less relevant for soft power. I disagree. I would argue that because the western democracies have never generated the means, doctrines, or methodologies to translate grand strategy into the employment of soft power, we are unable to wield such power in a strategic manner. Nye, in identifying strategic power as an axis, has given us a useful starting point, but we have yet to develop the concepts that would allow us to make “strategic communications” truly strategic. Second, Gray argues that soft power merely “co-opts the readily co-optable.” I respond that soft power operates on longer timelines than most operational art is prepared to consider. Soft power, unlike an air strike, must be built over time, its targets selected, and action taken sometimes years in advance of the actual start of kinetic operations. Finally, Gray overlooks the soft power aspects of hard power. Respect for the military capabilities of a nation from other nations are a large – and sometimes significant – contributor to a nation’s soft power. Indeed, it was probably the belief in the prowess of the Red Army and its weaponry more than its ideology that contributed to the influence of the Soviet Union in the three decades after the end of World War II. But these issues do not detract from the book’s core value in the debate over the changing nature of power in the 21st century. This thin volume belongs on every strategist’s bookshelf. The theory and practice of military psychological operations find their roots in World War II, and for decades remained largely unchanged. There was good reason for this: the media via which psychological operations were conducted were largely of a broadcast type. Aside from the advent of television, psychological operations were conducted with media that existed since the early 20th Century. Now that the Internet has become all but pervasive, and mass media have begun to change, the military is being forced to take a step back from the channels of its communications and start to explore the nature of influence before trying to decide how to exert that influence. The result of that overdue introspection is Foundations of Effective Influence Operations. I am a communicator by profession, and in the fraught, complex, and often dirty world of business in Asia I face challenges that bear notable similarities to those facing Army PsyOps people on the battlefield. As such, I was interested to see what a team of seven really bright RAND scholars could come up with. Put simply, because what we actually do often matters far more than what we say, influence operations frequently will focus on explain- ing and leveraging off tangible actions by casting them in a positive context and thereby building trust with an audience or by countering adversary claims about such actions with factual information that is buttressed by facts on the ground and averred by local opinion leaders whose credibility and trustworthiness is judged to be high. The other conclusion that hit home with me was that there are no easy formulas that will translate across different situations, much less across cultures, and that artful improvisation in the development of communications campaigns was essential. I’ve long believed that great communications is not a template, and to have that affirmed in this study was edifying indeed. These glimpses only scratch the surface. There is great depth and much insight in this book that can only be appreciated by reading it. One of the ideas to emerge among security experts and even within the Pentagon after 9/11 is the idea that the events of that day have propelled warfare into a new era of warfare. Distinct from first generation warfare, emphasizing massed manpower, the second generation, which emphasized firepower, and the third, which focused on maneuver, the fourth generation of warfare is, essentially, a form of globalized insurgency. Historian and strategist Dr. Antulio Echevarria believes that this conception is half-baked, and in Fourth-Generation War and Other Myths argues convincingly for a more critical appraisal of the theory of fourth-generation warfare, and somewhat less convincingly for its rejection. Anyone following what happened in Iraq and what is happening now in Afghanistan would want to read this brief volume. A book on how the Obama administration sees the role of space in national security. A fascinating read, especially given China’s nascent claims to the Final Frontier.